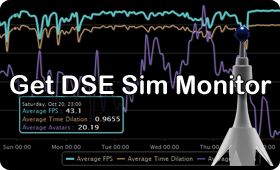 DSE Sim Monitor is a Second Life sim performance management tool which is provided freely to the entire community of virtual land owners to help them better monitor and manage their sim performance. Specifically it can answer the following questions which could not have been answered using more traditional tools. Did sim performance change after last restart? How did performance change after adding 10 more breedables? Did enabling Pathfinding affect my sim performance? When did my sim performance start deteriorating? When installed on a Dream Seeker Estates sim, the DSE Sim Monitor integrates seemlessly with the estate's Active Performance Management system which alerts the Customer Care team of service performance issues who then investigate those and work with the residents and Linden Lab as necessary to ensure the highest possible service levels and your satisfaction. To use the DSE Sim Monitor, simply rez it on any sim you would like to monitor and where you have permissions to build (rez) objects. The Sim Monitor will start collecting your region performance statistics immediately and will report those to the server once every few minutes. In just a few minutes the server will be able to generate performance graphs of your region and present individual performance metrics in a tabular form. As the Sim Monitor continues to work and collect data, the graphs will become more meaningful, showing longer term performance trends. In just a few hours after rezzing the Sim Monitor, the server will have collected enough data to generate hourly summary performance graphs and in just a week a daily summary performance graphs will be available. To access the information, simply visit your DSE Sim Monitor in-world, click on it with your mouse and you will obtain a pop-up with a temporary web URL. You can configure your Sim Monitor to allow this access just to you, your group, or any of your region visitors. If you would like to hide the Sim Monitor so it does not clash with the style of your own builds, you can make it invisible with a simple click of a mouse. Q: Can it make my sim run better? Sure it can! ...with your help of course. Have you ever tried to show someone, be it your Estate Manager or Linden Lab support, that the sim just isn't working right but when they show up to help it magically starts working well again? 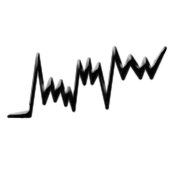 The DSE Sim Monitor can provide you with historical performance graphs that you will be able to export to a PDF document with a click of a mouse and share it with your Estate Manager or Linden Lab support to show them how your sim has been behaving. Do you think that could help you keep your sim run more smoothly? If you are a Dream Seeker Estates resident then both the Estate's Customer Care team as well as Linden Lab support will be able to login to the DSE Sim Monitor server and see the exact same detail information that you do! If you take advantage of the Dream Seeker Estate's Active Performance Management service then the Estate's Customer Care team will be notified of performance issues automatically and will respond to those issues even if you are not in-world to experience the problem yourself so that the sim is in top operating shape when you log in. Q: Why is the URL I get from the DSE Sim Monitor temporary? The URL that you get from your DSE Sim Monitor to view your sim performance information is temporary in order to protect your privacy. After you obtain it from the DSE Sim Monitor, you will have 2 hours to view the report and share the URL with anyone you wish who can help you analyze the information and troubleshoot your sim performance. After 2 hours the URL will be deactivated and you will need to obtain a new one. Without having individual user accounts and passwords in the system, this is the closest we could implement to ensure that only you and the people you authorize either by giving them the temporary URL or through access controls on the DSE Sim Monitor itself can view your sim performance stats. Q: How can I control who has access to my Sim performance information? When you as the owner of the DSE Sim Monitor object click the object itself, you will be given a menu to allow you to set access permissions to either just yourself, the group that the object is set to, or everyone. In any case, whoever you allow access will need to obtain a temporary URL either directly from you or by clicking the DSE Sim Monitor object and obtaining their own temporary URL. Please note that anyone with permissions to build on the sim will be able to rez their own DSE Sim Monitor and also access the same information as you do. Q: What does the Date & Time represent in reports? All time is reported in SLT which corresponds with Pacific Timezone. On the Detailed Reports the Date & Time represents the time when the DSE Sim Monitor object reported the statistics from your region. Reporting frequency is determined by the server and can be adjusted automatically in response to server load but typically it occurs every 5 minutes. During the 5 minute reporting period, the DSE Sim Monitor will sample your region performance numerous times, typically every 5 seconds and at the end of the reporting period will report the minimum, maximum and average performance measures during the reporting period. Hourly and Daily reports represent summaries of the Detailed Reports and there the Date & Time represents the start of the summary period. 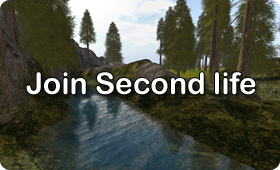 For example, if Date & Time on an hourly report indicates "2012-10-20 04:00:00" then the performance statistics for that record represent a summary of all Detailed Reports received on October 20 2012 between 4:00 AM SLT and 4:59 AM SLT. Q: Will the DSE Sim Monitor lag my sim? No. The DSE Sim Monitor queries the region every 5 seconds using built in and very efficient LSL libraries to obtain current performance information as reported by the region. At the end of the reporting time period typically set for 5 minutes, the DSE Sim Monitor reports to the server the minimum, maximum and average performance statistics gathered throughout the reporting period. In order to minimize performance impact on the sim, the DSE Sim Monitor does not perform any actions that are known to have a negative performance impact on the sim resources, such as scanning the region for avatars present or listening to chat. While every script running on a sim will use some portion of the sim's resources, the amount of resources used by the DSE Sim Monitor is negligible. Q: Can I use the DSE Sim Monitor on any sim I want? Yes. The DSE Sim Monitor is designed to operate on any Second Life sim. Regardless of which estate the sim is part of, the DSE Sim Monitor will work exactly the same. The added value that Dream Seeker Estates residents can receive is through integration with the estate's Active Performance Management system which can use the information provided by the DSE Sim Monitor to alert the Customer Care team of performance issues so they can be corrected quickly and often before the resident notices the problem. Q: Who can help me analyze my sim performance statistics? 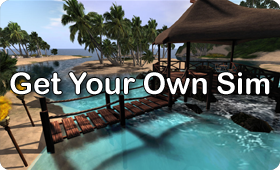 For help in troubleshooting your sim performance please contact your Estate Manager or Linden Lab support team and they should be able to assist you. If you have questions regarding the use of DSE Sim Monitor or interpretation of the information it displays, please first review information provided in this FAQ as well as Help pages within your Sim Performance graph website. You can also email us or follow us on Facebook and Twitter to connect with us and receive product updates, usage tips and other useful information.